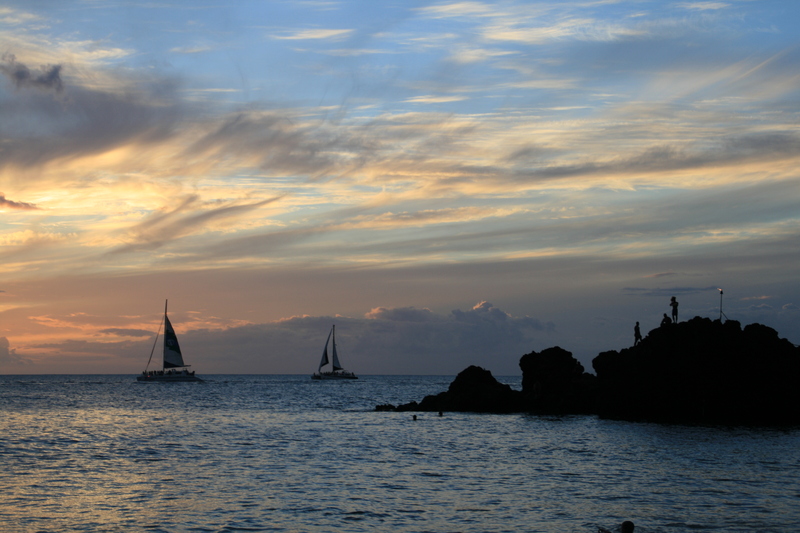 Each evening in Ka’anapali, as the sun begins to set in the ocean, a torch lighting ceremony followed by a cliff diver’s plunge into the sea is held at Black Rock on Maui. 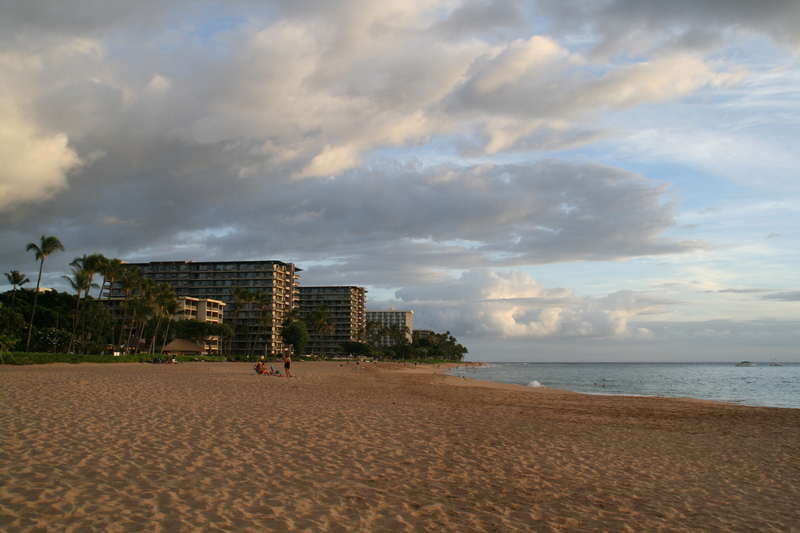 The beach near Black Rock is directly facing the Sheraton Maui Resort & Spa, which conveniently offers the Cliff Dive Grill and Mai Tai Bar–a great place to watch the traditional ceremony and enjoy a tropical beverage or appetizer (pupus as they are called on the Hawaiian Islands). 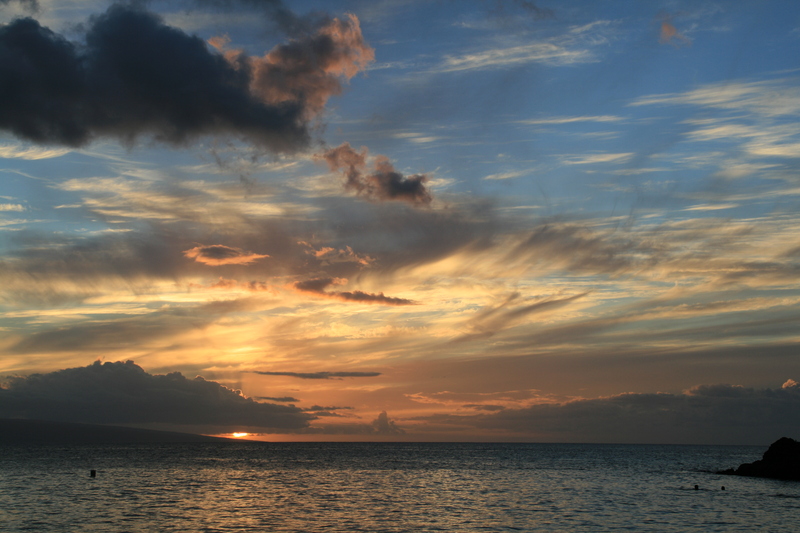 The beach is spectacular and the sunsets here do not disappoint. This area is also known for excellent snorkeling. The sunsets from this viewpoint paint the sky with brilliant shades of pinks and blues. 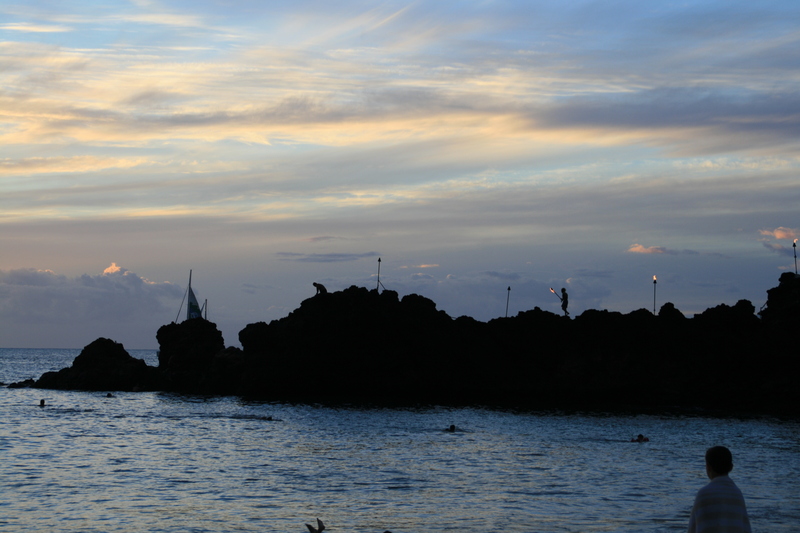 Black Rock, formed by a volcanic eruption in ancient times, was considered by ancient Hawaiians as the sacred place where souls would leave the earth and join with ancestors. Yes, the daily cliff dive ceremony is a tourist gimmick and yes, you should go. Watching the cliff diver reach the summit as he casts his lei into the sea and takes a magnificent dive into the sea is well worth a stop.